Smartphones are great. Until you walk straight out into the street and almost get run over cause you can’t stop staring at it. That’s from personal experience. 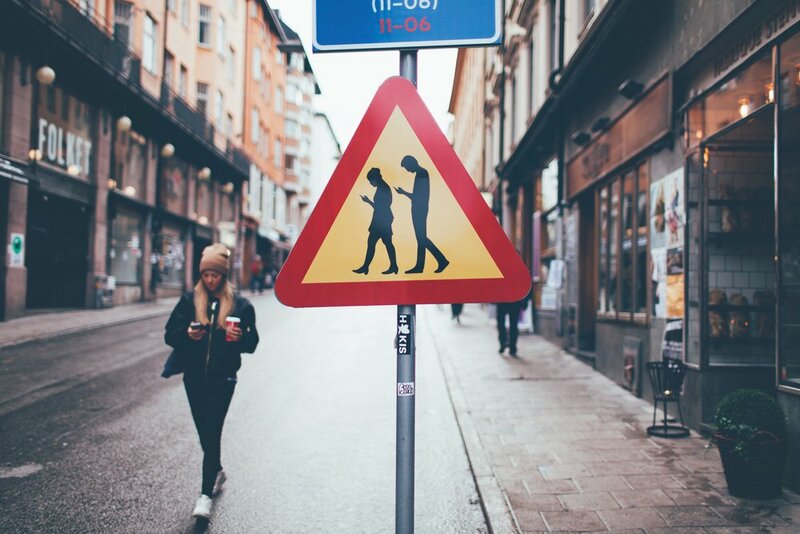 And that was the inspiration behind these lovely signs that we put up across Stockholm. 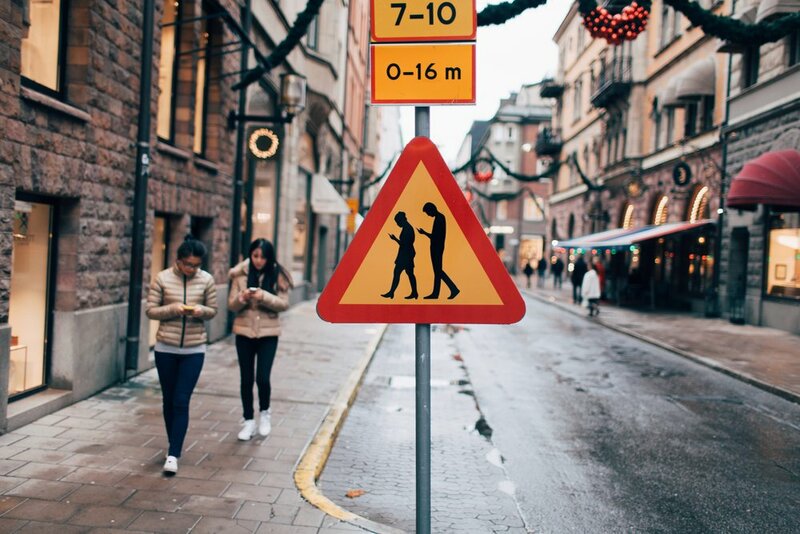 Ironically, our traffic signs were the most shared piece of news of all Swedish news on November 16th 2015, according to Swedish Radio (the non-commercial independent public service radio broadcaster) and Sociala Nyheter (a website that lists Sweden's most shared news on social media). One of the traffic signs is now part of the Technoseum's permanent collection in Germany.